If you're a fan of Taylor Swift, you know she's been bringing her celebrity friends up on stage with her. Last night in San Diego, her guest was none other than our Avril! 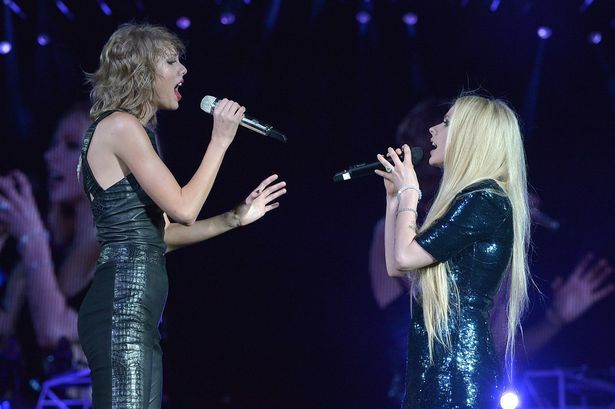 The two sang "Complicated" together! Taylor expressed how big of a fan she is of Avril, and Avril looked so amazingly happy being back on stage again! [EDIT] it seems like all full videos have been removed by Youtube. P.S. The host of Avril-Images.net has been having major issues, so the domain doesn't work right now. I have no idea when/if it'll be back since I can't contact them. Hopefully soon! If you are not aware of the unnecessary media attention surrounding some posts and tweets from Avril and Taylor Swift, read up on it here. Everything gets exaggerated in the media. We know that Avril loves her fans - that's all that matters. Get the game for free from the App Store or Google Play! So this is what I would look like if I lived in Quahog…So excited to be a part of Family Guy: The Quest For Stuff!! P.S. Visit Avril-L.org's Twitter page for pictures from the game! AVRIL TO VOICE SNOW WHITE IN "CHARMING"
The Canadian singer will voice Snow White, Tisdale will reinvent Cinderella and Chinese star G.E.M. becomes Sleeping Beauty in the upcoming comedy. Avril Lavigne, Ashley Tisdale and Chinese singing star G.E.M. will lend their voices and musical talents to 3QU Media's upcoming animated theatrical feature film Charming, from Shrek producer John H. Williams. Lavigne will voice the role of Snow White, Tisdale will voice Cinderella and Gloria Tang Tsz-kei, known to her Chinese fans as G.E.M., will bring her acting talents to the role of Sleeping Beauty. The trio join Demi Lovato, who was earlier cast to voice the female lead, Lenore, and executive produce the film's music score. The animated comedy, directed by Ross Venokur from his original script, reinvents the stories of three familiar princesses - Cinderella, Snow White and Sleeping Beauty - in the unfamiliar plot twist of all being engaged to Prince Charming. The movie's producers said the casting of Prince Charming will be shortly revealed. Avril did a beautiful job and looked stunning in her first performance in over a year. Watch the performance below and let me know what you think! AVRIL PERFORMS "FLY" LIVE TONIGHT! Today is the day! Be sure to tune in @ESPN 6pm PT/9pm ET & watch #Fly @SpecialOlympics @LA2015 World Games’ Opening Ceremony! 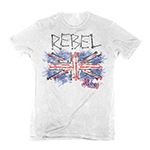 Avril's clothing line, Abbey Dawn, is back with men's and women's items! 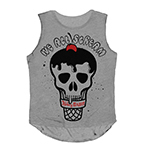 There are only a limited amount of items right now, but you can get tshirts, tanks and hoodies. Happy shopping! "I'm so excited for life after this"
Watch Avril's emotional interview with Good Morning America about her Lyme Disease struggles. I dare you not to cry!!!! Members of Canadian rock band Nickelback have released a video sharing their sadness and regret over having to cancel the summer leg of their No Fixed Address tour. Guitarist Ryan Peake and frontman Chad Kroeger’s brother, Mike, have revealed that doctors found an operable cyst on Chad’s vocal chords that needs to be removed immediately, followed by an extended period of vocal rest. This is the latest health issue to hit the Kroeger family after Chad's wife, Avril Lavigne, was diagnosed with Lyme disease earlier this year.